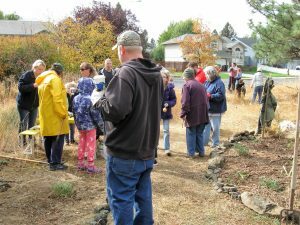 Froggy Pond, Stormwater Management area at 32nd & Cuba, gets native plants. John Vansant, a safety specialist with the Spokane School District. The City of Spokane Plan Commission will be holding a hearing on March 27th at 4 PM to consider changing the Comprehensive Plan: The proposal is to change the designation of Crestline, from 37th to 31st, from ‘arterial’ to ‘residential’. Details of the city staff’s report to the commission, including links to a 29th Ave traffic study and a video summary, can be found here. Note: the report supports the neighborhood request for the Crestline re-classification. 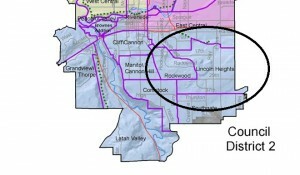 Lincoln Heights District Center Master Plan can be viewed here: https://my.spokanecity.org/projects/lincoln-heights-district-center/. See our Documents tab for earlier minutes. LHNC meetings are every other month: Jan, Mar, May, Jul, Sept, Nov, on the 3rd Tuesday of the month.